When going into a business as capital intensive as a private aircraft charter, it is necessary to be completely realistic and well-informed regarding the costs. This is especially true for a business that needs to employ a sizeable team of professionals. When it comes to employees, costs go well beyond just wages. 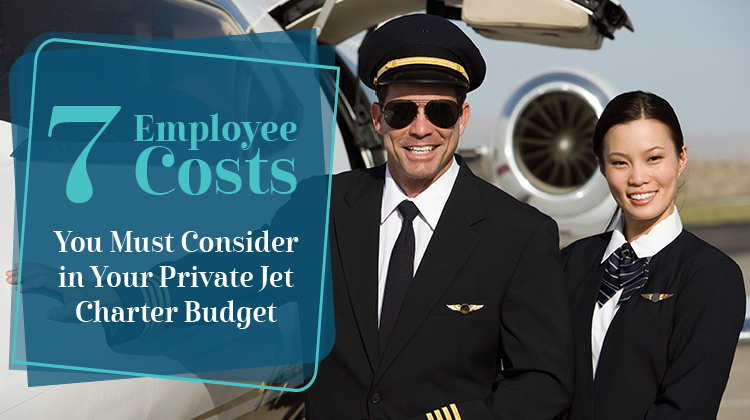 Here we list some of the employee costs that you’ll need to research and discuss with your accountant, to make sure that all is within budget. Before going into the business, you must be absolutely certain that you can afford to pay fair wages; note that what constitutes a fair wage can vary greatly depending on the cost of living in your area. This will require a considerable amount of market research, especially when finding pilots for the specific type of aircraft you own. Not determining appropriate pay rates can prevent your company from having the qualified employees you need to operate. While the cost of health care is continually rising, companies do have a number of options for working it into their budget. This includes a strategy wherein the employer provides a set sum for health care per employee, and the employee shoulders any costs beyond that. The amount the company needs to pay for employee taxes and social security (that is, at the cost to the employer, apart from the amount withheld from the employee’s pay) is different from country to country. For instance, in the US (as of 2017), the employer must pay 6.2% of the first $127,200 of an employee’s annual wages. The amounts required for this can vary greatly among the members of your team, so take all of that into account. Training, refresher courses and certifications for your pilots will be the most expensive, but don’t neglect training for your other flight crew members as this can also significantly affect the quality of your service. Of course, getting that one person into your company requires work from other staff members (and sometimes, other firms). Take into account the costs of posting job ads or using a headhunter, and of filing the necessary paperwork and onboarding. Also, would the person require any additional, specific tools for the job, such as office equipment, books, or software licenses? Take that into consideration. A private jet charter business often requires working at odd hours to meet the demands and needs of clients. An extra duty allowance is one way to ensure your staff remains committed to working these shifts when the need arises. Bonuses and other incentives are a tried-and-true way of keeping employee morale up and encouraging everyone in your team to perform at their best.